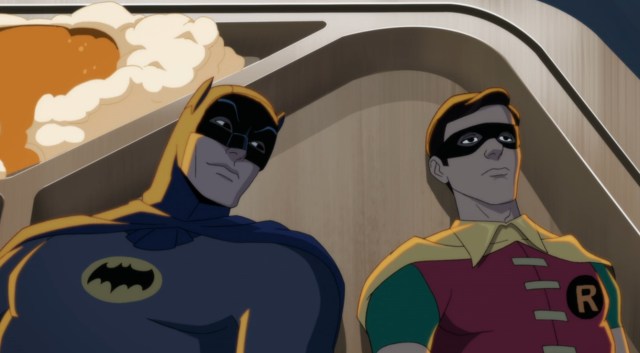 Last year, the original Batman series stars Adam West and Burt Ward confirmed they were voicing the dynamic duo in an all-new animated film and now DC Entertainment has released the first trailer for the film (via EW) titled Batman: Return of the Caped Crusaders. Check it out in the player below. Featuring the voices of Adam West, Burt Ward, and Julie Newmar, the film sees the superheroes going up against classic villains like The Joker, The Riddler, The Penguin and Catwoman, both in Gotham City… and in space. Batman: Return of the Caped Crusaders will be released on Digital HD on October 11 and Blu-ray on Nov. 1. The original Batman TV series ran for 120 episodes from 1966 to 1968 and also featured Yvonne Craig as Batgirl, Burgess Meredith as the Penguin, and Cesar Romero as the Joker. You can buy the complete series on Blu-ray or DVD by clicking here.